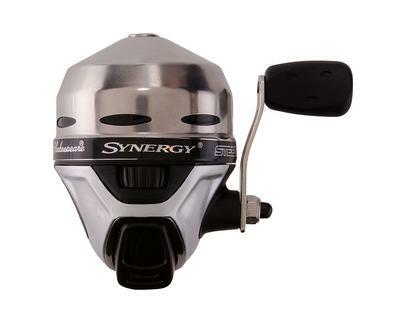 The Shakespeare Synergy spincast fishing reel was great to fish with. But we made the mistake of spooling it up with Spiderwire braided line. So, after about 2 1/2 months they just quit working. Then I read that braided line is the worst kind of line to use for spincast fishing reels. Lesson learned. We have been fishing for pike. My lines kept breaking, which is why we went with the Spiderwire that weighed 4 to 15 lbs test line. My husband got a Zebco 808, which is too heavy for me. Now I have a Zebco 33, and also plan on getting a Daiwa Silver 120 as well. I have not tried either of those yet. I hope we made the right change and use the mono, instead of the braided line. Thank you for the Shakespeare Synergy fishing reel review, Tammy.